Cambaceres is known in Japan. The Kokugakuin university of Tokyo has a very important bottom of files: those are on line but unfortunately they are not very exploitable. The site “Russian Museums” devotes a page to Cambaceres. For the amateurs of Cyrillic, a biography and a portrait. 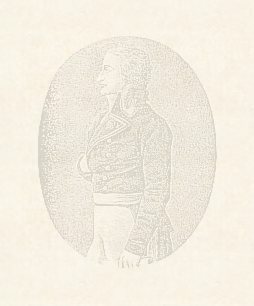 Official site of the Napoleon Foundation. A passage obliged for all the Net surfers impassioned by the Consulate and the Empire, I advise you to subscribe you with the electronic letter which will inform you every week about the events to come. You will find on line on this site the many articles of the Review of the Napoleonean Memory. Another site of the Napoleon Foundation which proposes on line files and documents of the Prime Minister and the Second Empire: in particular files of the Council of State. Site of one impassioned by the Empire. Amelie takes you along to discovered of the life of the Emperor and the imperial company. To discover heading “A counts under the Empire”, important subject to Cambaceres. Created by “a young Bonapartist of modern times”, the Napoleon site is interested in the military side of the Empire (Great Army, Battles, Marshals…). To note an excellent bibliography and catalogue of films. Another site of one impassioned of the imperial epopee. To note a very rich page of links. Devoted to the period of the Revolution and the Empire, this site tries of “to approach the truth of this time by the systematic return to the original documents”.